The latest analysis from the National Operational Hydrologic Remote Sensing Center tells so much of how this winter has been: cold and snowy from the Rockies east. 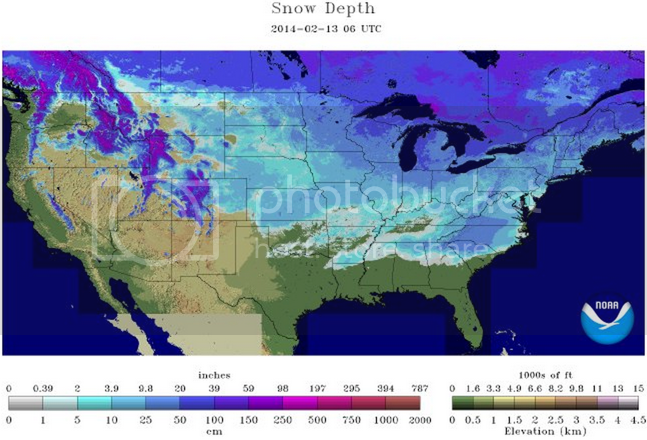 Today every state in the country has at least some snow cover, with the exception of Florida. In all, 57.9% of the United States is covered by snow, that's up from 43.7% a year ago today (below). 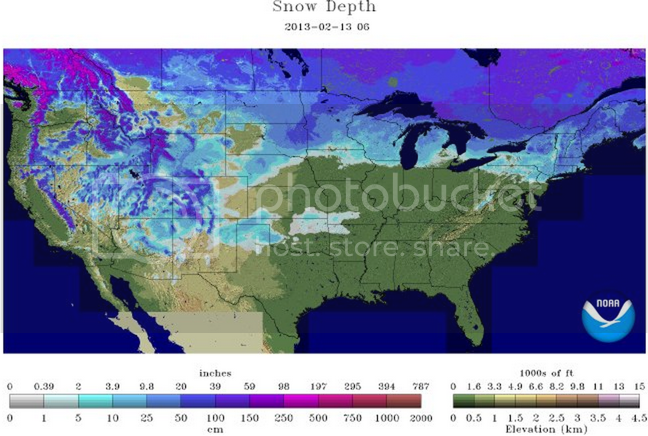 Also note how different the pattern was -- widespread snow cover was in the west at this time last year. Yesterday's storm brought crippling ice and snow to the southeast, heavy snow to the mid Atlantic overnight, and is now dumping snow in New England at rates in excess of 2 inches an hour. While we are warming into the 50s and 60s across eastern Colorado, parts of the east are experiencing their biggest storm in years, with another cold clipper system on it's heels this weekend.